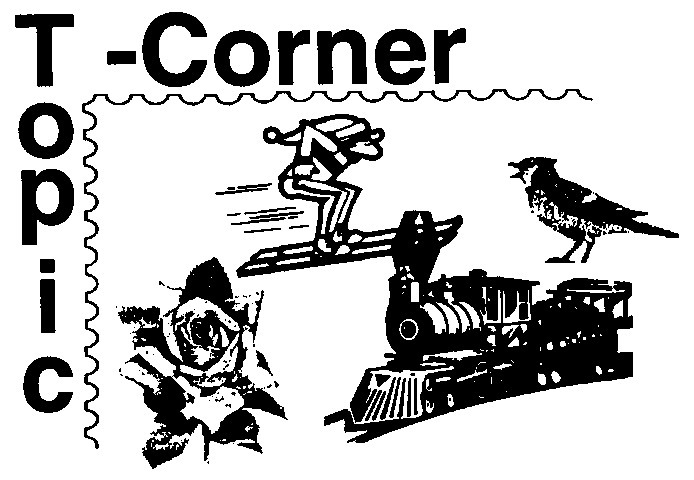 This page includes The Topic-Corner columns from the 1996 issues of Across the Fence Post. March is National Women's History Month. According to Chase's Calendar of Events, it is "a time for re-examining and celebrating the wide range of women's contributions and achievements, too often overlooked in the telling of United States history." Women such as Abigail Adams, Martha Washington, and Sacagawea played important roles in the early history of our country. Susan B. Anthony and Elizabeth Caddy Stanton worked tirelessly for women's rights. 'The passage of the 19th Amendment gave women the right to vote am opened the door for many other opportunities that were often denied women. Social reform became the agenda for people such as Dorothea Dix. Jane Addams, Harriet Tubman, and Ida Wells. They tackled issues such as slavery, poverty, and human rights. Mary Cassatt and Grandma Moses were renown figures in the art world. Lovers of literature will surely recognize the names of Louisa Mae Alcott, E mily Dickinson, Margaret Mitchell, Willa Cather, and Edith Wharton. As a more modern writer, Rachel Carson introduced the world to the dangers of DDT and pesticides in her book "Silent Spring. " Many women were pioneers in their field. In the field of aviation, Amelia Earhart and Bessie Coleman are names that come to mind. The medical and health care professions recognize the contributions made by Elizabeth Blackwell, Clara Barton, and Virginia Apgar. Moviegoers will certainly recognize the names of Grace Kelly, Judy Garland, and Marilyn Monroe. Also noteworthy am the contributions made to the field of music by Bessie Smith, Ma Rainey. Diana Washington, Billie Holiday, Patsy Cline, Ethel Merman, and others. Athletes such as Hazel Wightman and Babe Zaharias also have earned name recognition for their accomplishments in the tennis and golf world, respectively. What do these names have in common? They have all been recognized on a United States postage stamp. More than two centuries of out-standing accomplishments made by women are commemorated on our nation's stamps. To learn more about these and other women portrayed on our country's stamps, ask to borrow the U.S. Postal Service's video "Women on Stamps." This entertaining 15-minute program will heighten your awareness of the personal "stamp" each of these women made on our nation's history. 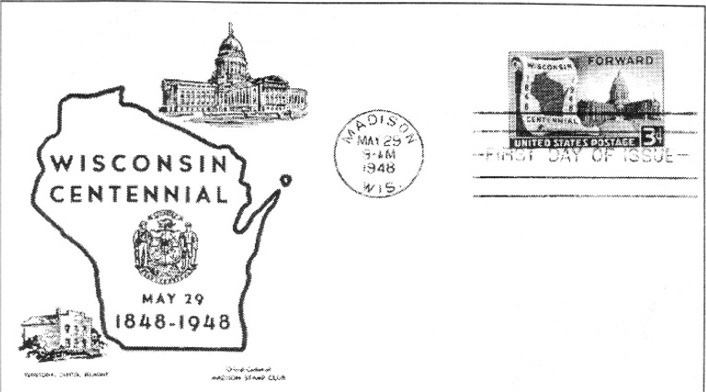 The WFSC is about to embark on the reproduction of its popular handbook Wisconsin on Stamps. Originally published in 1986 for the sesquicentennial of Wisconsin as a territory, the book has long been out of print. In 1998, Wisconsin celebrates its 150th anniversary of statehood, a logical target date for introducing the second edition of Wisconsin on Stamps. 'Me updated edition should appeal to a new generation of historians and stamp collectors. The WFSC is seeking individuals willing to volunteer in the project. There is a need for researchers, writers, graphic artists, and people knowledgeable in the printing process. Also needed are "idea" people and those familiar with the history of our state. If you have ideas on subjects and topics to include or knowledge of stamps that have Wisconsin connections, we seek your input. Do you have knowledge of some enlightening piece of trivia related to our state? Work needs to begin soon on this project, and possibility of receiving a grant to fund the publication is already being explored. But one of the biggest tasks facing the committee will be the format of the book and the amount of text to accompany each stamp and/or page. Over the years, I have obtained copies of other similar publications whereby groups or individuals told the story of their state through postage stamps. The most recently published book arrived just days ago. Texas on Stamps is a soft cover 128-page book with a full-color cover. It uses stamps from the United States as well as countries from around the world to tell its story. The book is divided into three sections: History and Events. Texans, and Lone Star Locales. Each page is devoted to a single year, person, or point of interest. The page contains one or two stamp illustrations in black and white with four or five paragraphs of text related to the topic. Questions facing the committee include: Should the format be that of a book or album page? Should only stamps be used as illustrative matter or should other philatelic items such as postmarks and pictorial cancels are included? Should only stamps from the United States be used or should stamps from other countries be included in the retelling of our state's story? Even if you cannot offer help in the actual production of this exciting new book, please take time to express your opinions on the above questions. Your ideas and input are valued. Write to: MaryAnn Bowman, P.O. Box 1451, Waukesha, WI 53187.